Food allergies are a mystery that science is just beginning to unravel. Minnesotan Trece Hopp, 17, has a severe tree nut and peanut allergy and is constantly on guard against the possibility of coming into contact with these allergens. 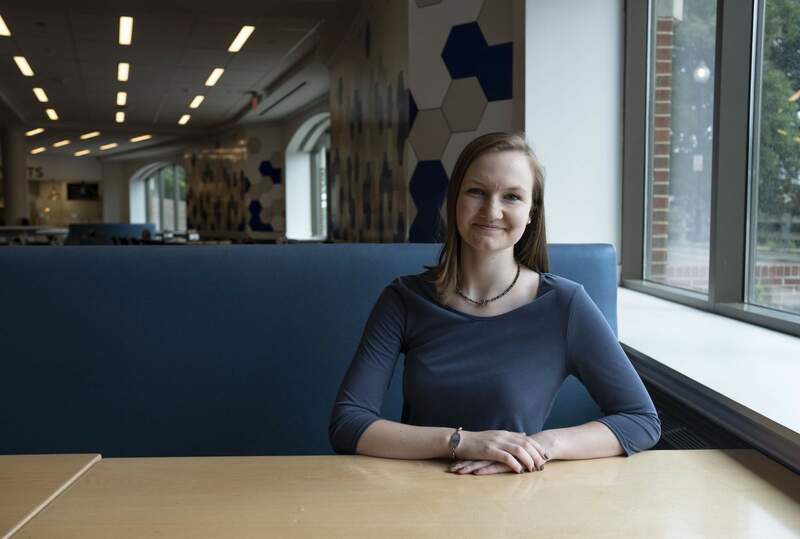 During a summer program at Georgetown University, she ate in a cafeteria for the first time after double- and triple-checking that it was peanut-free. 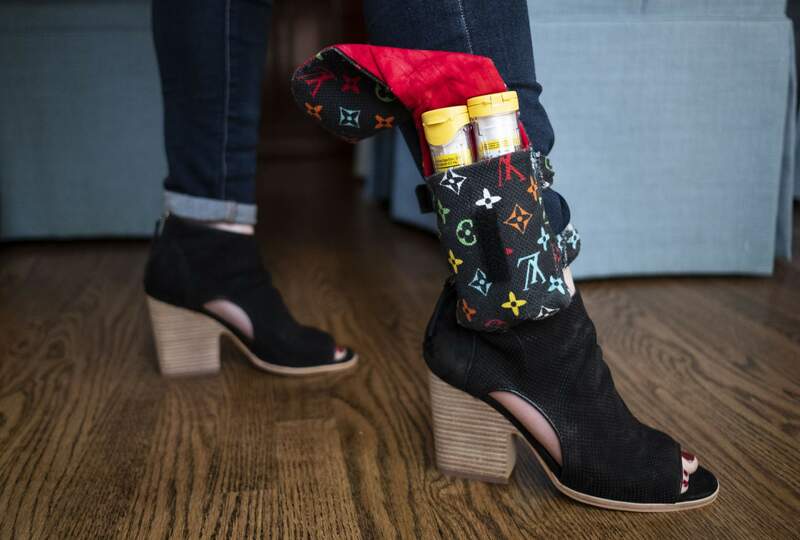 Trece Hopp wears an EpiPen strapped to her ankle for emergencies – and as a way to signal her condition to others. 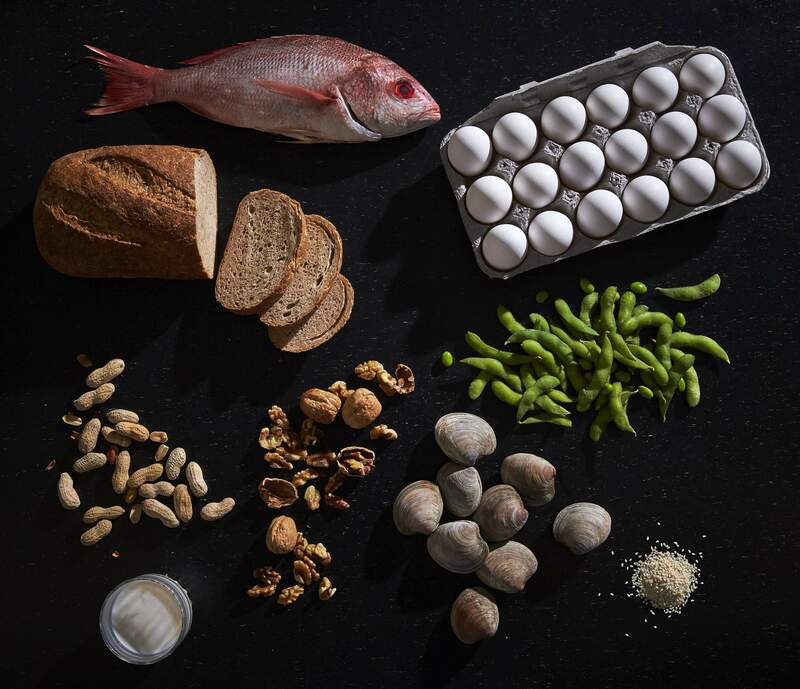 Food allergy sufferers don’t look sick, but they can face the same challenges as those with disabilities, says Scott Sicherer, director of New York’s Jaffe Food Allergy Institute. Eight food categories, including fish, shellfish, eggs, milk and peanuts, are now widely recognized as major allergens. Patricia Hopp rose from her seat and took a deep breath. It was the first or second day of middle school, and Trece, as her family and friends call her, had something to say. She’d need her classmates’ understanding, she nervously explained – and perhaps even their help. Being near someone eating a peanut butter sandwich might pock her skin with hives, she told them. Catching a whiff of dust from nuts could make her breathing more labored. Accidentally touching a peanut could send her into anaphylactic shock. And if she inadvertently ate one, she could, she told them, die. Thereafter, “I was the girl with the peanut allergy,” set apart from everyone else, says Trece, who’s now 17. “It’s my identity. It’s part of me.” A part she has to not only remind people of, but repeatedly explain. This summer, Trece was invited to participate in a leadership institute at Georgetown University in Washington, D.C., far from her home in Minnesota. As her first out-of-town trip on her own neared, she dialed the university and peppered a campus nutritionist with questions. With her mother looking on, she booked her plane ticket to Washington online, requesting a nut-free flight. Then, to be certain that everything was set, she called the airline. A week before her trip, she called again. These sorts of daily calculations, each shaded with the possibility of a frightening outcome – a hospital visit, or even death – are the norm for Trece and the estimated 15 million Americans stricken with severe food allergies. Just as normal is the need to convince others that soy or milk or oysters, harmless to most, could have lethal consequences for them. Because even as the rate of such allergies is rising, prompting sweeping changes in the way Americans eat, tell someone that you have a food allergy, and there’s a good chance they’ll roll their eyes in disbelief. That’s why Trece wears an epinephrine pen in a holster strapped to her ankle. It feels like armor, protection against all the possible outcomes – and also against the skeptics. Rise of allergiesFood allergies are a mystery that science is only just beginning to unravel. Eight food categories, including fish, shellfish, eggs, milk and peanuts, are now widely recognized as major allergens. But doctors also acknowledge milder reactions, like itchy mouths and swollen lips, to a host of other seemingly innocuous foods: Kiwi fruit. Hazelnuts. Carrots. Bananas. Watermelon. Some people have reported reactions to ingredients that have never been on any widely recognized allergen lists, including meat or mustard seed. But which food reactions are allergies, and which are just ... overreactions? We’ve all sat down to dinner with someone who will tick off a list of supposed allergies when prompted by a server: Chicken. Strawberries. Lemon. Chocolate. Or, more recently, you’ve probably dined with someone who won’t touch gluten because they “feel better” when they don’t. Mushrooms – that’s my issue. Even I can’t say that it’s an allergy for sure, but I’ve lost my dinner within minutes of eating a chewy sliver of shiitake. My eyes have swollen shut. I’ve suffered what I can only describe as a two-day mushroom hangover afterward. What’s even stranger, I don’t have this reaction to all mushrooms, just shiitakes and portobellos. Truffles, the kind shaved paper-thin over strands of pasta, agree with me splendidly. I can’t exactly blame him for asking. I don’t carry an EpiPen like Trece. I don’t fear for my life. But I do fear mushrooms. I wonder: Do I really have a food allergy – an allergist told me my mushroom reaction was probably connected to my severe mold allergy – or am I just contributing to the doubt around allergies? People like me aren’t the only cause of confusion. Food allergies are wildly unpredictable. Some sufferers will eat a handful of almonds or drink a glass of milk and get a few hives; others will suffer a fatal attack after eating something stirred with a spoon that had also come into contact with, say, a seafood soup. Reactions can worsen markedly if the sufferer drinks alcohol, exercises or is premenstrual when exposed. Same for those who are stressed or anxious. Some food allergies just go away over time. Some, particularly peanut allergies, may never fade. For a long time, especially in the early part of his career in the 1980s, Hugh Sampson counted himself among the food allergy skeptics. A pediatric allergist and immunologist at New York’s Jaffe Food Allergy Institute, he is one of the leading researchers in the field. “A lot of people, including myself, didn’t believe in food allergies,” he says. There’s a reason: They weren’t nearly as prevalent in the past. Then, sometime in the late 1980s and early 1990s, Sampson and others in the medical field say, parents began flooding their offices with children like Trece. Nuts, grains, milk, eggs and a host of other foods were triggering the “bona fide reactions” that doctors hadn’t witnessed before. The children were experiencing anaphylaxis – their bodies covered in hives, their throats closing, their blood pressure sinking, their bodies in shock. Food allergy afflicts just 4 percent of Americans, according to findings published last year in the Journal of Allergy and Clinical Immunology. The vast majority of sufferers are under the age of 25, and many are very young: An estimated two children in every U.S. classroom now suffer from food allergies. In 2006, the Food Allergen Labeling and Consumer Protection Act required food packaging to identify ingredients more clearly; manufacturers were prodded to call casein, for example, what it really is – roughly, milk. Every granola bar, bag of chips and frozen dinner now lists in plain language whether it contains allergens. Some schools have banned peanuts entirely. But the bans, labeling rules and media attention have stirred a backlash. In Britain, top chefs revolted when the European Union ordered restaurants and caterers to list 14 allergens on their menus. The measure would hamper their creativity, several wrote in an open letter, and besides, the onus should be on sufferers to inform establishments of their allergies, not vice versa. Some in the medical community and the media also contend that the fear around allergies is alarmist and can be driven by profit-seeking and other motives. A 2015 article in Scientific American explored the financial and emotional cost of the high rate of food allergy misdiagnosis. According to the Centers for Disease Control and Prevention, the leading causes of death for those younger than 15 include accidents, homicide and self-harm. Allergic reactions are nowhere on the list. Her post has drawn more than 20,000 comments. Most are sympathetic – but several decidedly are not. “How about reading if you know you have such a bad allergy? ... again PERSONAL RESPONSIBILITY,” was one typical comment. That kind of snide remark gets at the heart of much of the food-allergy backlash: the sense that all of society is being burdened with the responsibility of assuring the safety of a handful of individuals. It’s no wonder that many families report stress around the mere act of eating. Stacey Saiontz’s life was altered by her son’s diagnosis. From almost the moment Jared was born, Saiontz says, an angry rash pocked every inch of his tender skin. He seemed to throw up too often. Saiontz ferried him to doctor after doctor, but each sent her home with an unsatisfying diagnosis: reflux, or maybe baby acne. Then she took the 3-month-old to an allergist, who confirmed that Jared tested positive for food allergies. Plural. Dairy, eggs, tree nuts, barley, sesame, oat, sorghum, millet, quinoa, flax, soy – everything, it seemed, had the potential to trigger a riotous reaction in his immune system. He was too young to eat those foods, but Saiontz, 43, a former lawyer who lives in Chappaqua, New York, had been exposing him through her breast milk. UnderstandingOne of the nation’s earliest and most prolific food allergy research hubs, the Jaffe Food Allergy Institute was founded only two decades ago, in 1997. Sampson was the first director. The institute is named for Elliot and Roslyn Jaffe, founders of the retailer Dressbarn, whose family foundation funds the enterprise. Their connection to food allergy is personal: Their son, David, and his wife, Helen, have four grown children, all with several life-threatening food allergies. The family became involved with food allergy activism, David Jaffe tells me, when the couple’s eldest daughter reached preschool age. Helen took her to school, EpiPen in hand, and calmly explained to the staff what to do if the girl had a reaction. It was the early 1990s, and no one had ever asked the school to do such a thing, the Jaffes recall. As parents wanting to know not only how to manage their children’s health but how they had ended up with a life-threatening condition in the first place, they’d encountered plenty of dead ends. “There was shockingly little work being done in food allergy, shockingly few places you could go to, even medical centers,” Jaffe recalls. “We kind of had a choice,” he says. “You take it in stride and engage in daily activities, or you treat (your child) like a victim, and you make sure they only eat food you’ve prepared, and you only travel to places where you bring all the food with them. It’s nuts, no pun intended.” But until the rest of the world catches up, it’s not surprising that so many parents and sufferers choose the latter course. Trece Hopp just wants people to understand what it’s like to live with an allergy. Like how, when she does find herself in a restaurant, she’ll often nurse a glass of water rather than risk ordering anything to eat. 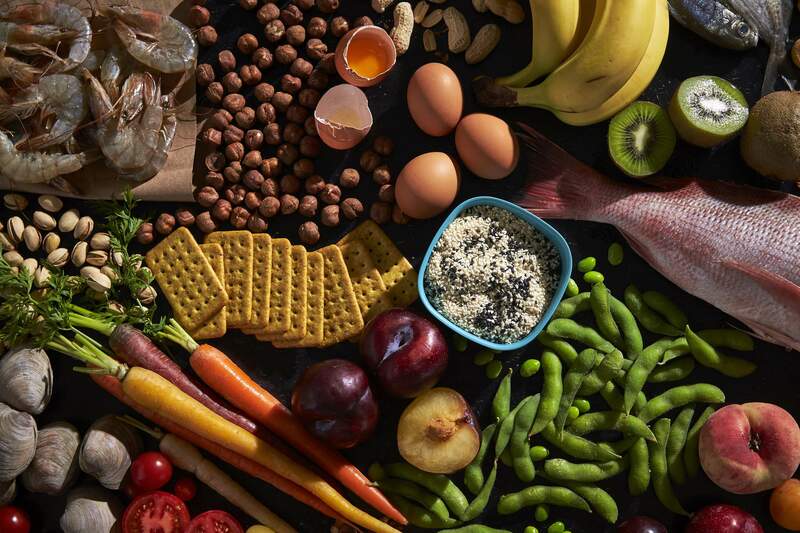 The Georgetown University dining hall, Trece learned through her dogged phone calls, is completely nut-free, except for a few packaged foods – a concession that didn’t exist 25 years ago. This summer, she piled her plate with pasta, turkey and rice, just like other kids. “It was the first time I’d ever eaten in a cafeteria,” she marvels. And she didn’t have to explain herself to anyone.